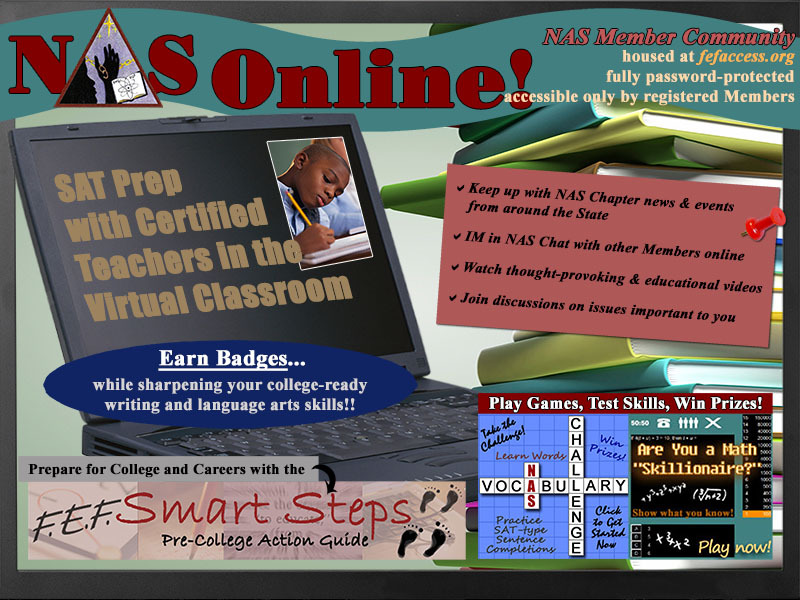 By typing my full name below and submitting this form, I certify that I am the parent or legal guardian of the child named and that I authorize my child to fully participate in the www.fefaccess.org National Achievers Society (NAS) Member Community site (NAS Online). I understand that in consenting to my child's registration at NAS Online, I am consenting to my child receiving email from the FEF about the site and allowing my child to participate in all aspects of the site, including attending sessions via audio and/or video in the site’s virtual classroom, posting and reading messages on message boards and in chat areas, updating his/her user profile, and sending and receiving messages via the internal message system. I understand that I may withdraw my permission granted here, with written notice, at any time.